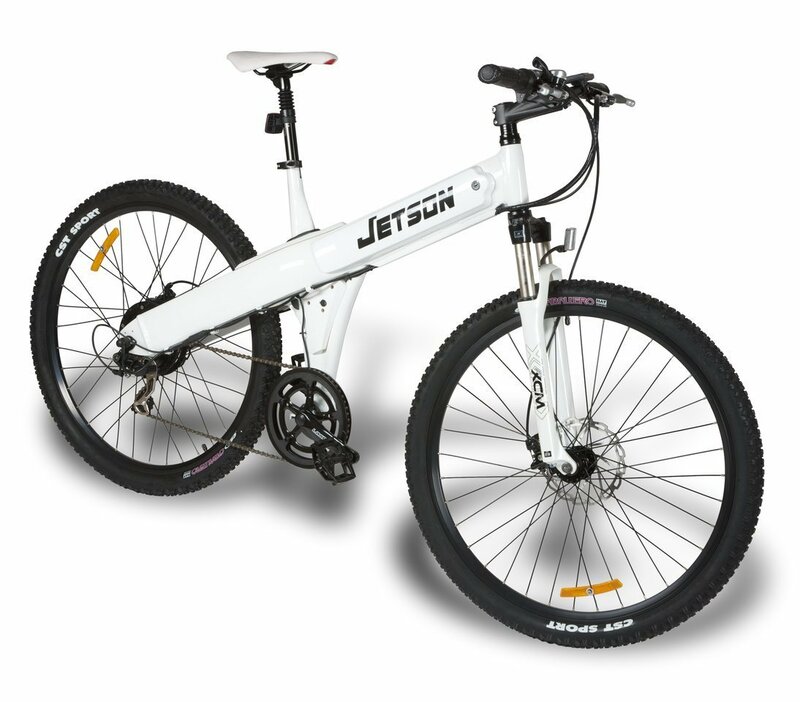 The Jetson Hummer Bike flat tire model is a solid, more mid-level, off-road electric bike. Its goal is to cross heavier terrain that might not be found in a normal urban environment. 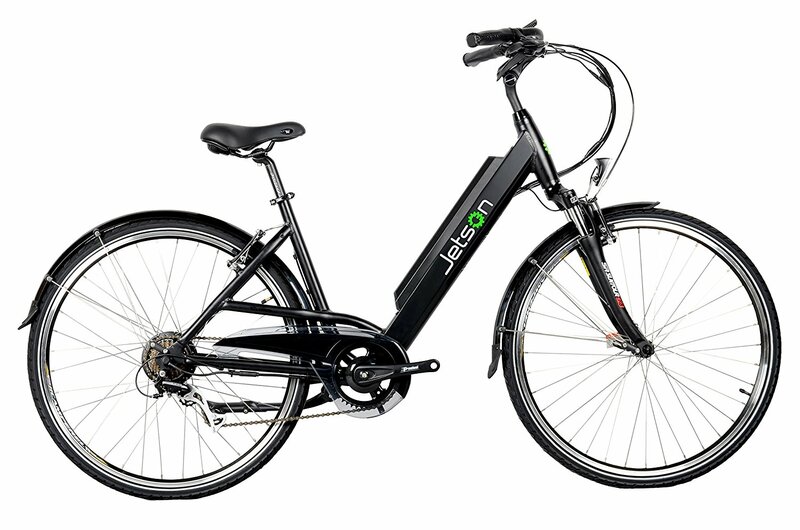 The bike itself runs on a 36v Lithium Ion battery and has a motor outputting 350 watts. Important note here; the Jetson website states 250w but the manual has 350w as the motor power, I assume the manual has the correct specifications. Its max speed is 20mph and the range of each charge is about 40 miles. The charge time is fast at only 4-5 hours. 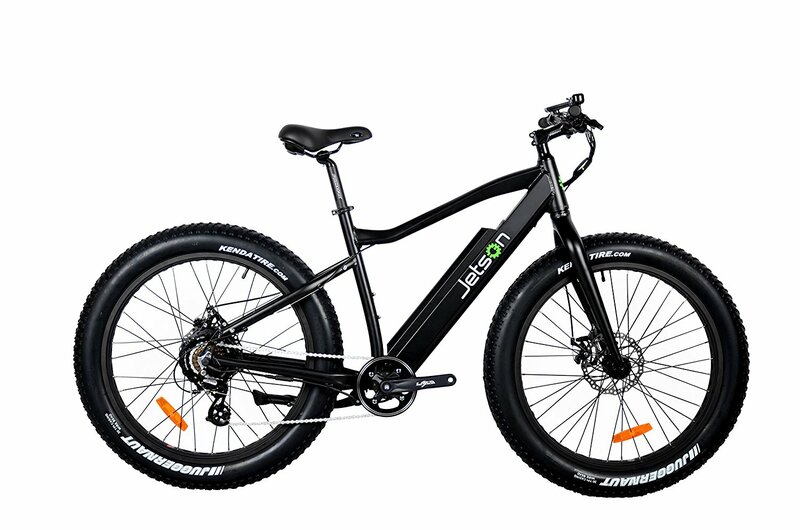 With the Jetson Hummer’s wattage on the low end the motor is really there to offer assistance on more extreme terrain and hills rather than doing all the work. The speed and pedal assistance is changed from 5 levels through the LCD display. Sadly, the display only changes the speed and doesn’t do anything fancy. The tires that come out of the box are stock Kenda Extreme Terrain 26” x 4” tires. The bike is pretty light being around 55 pounds. The small motor and aluminum frame helps keep the weight down. Some places advertise the max weight capacity to be 300 pounds but the official manual states 265 pounds exactly. So depending on extra gear for those outdoor adventures you might not have as much leeway at first glance. Overall I think the price is a bit too high for the motor wattage. The bike is built pretty solid but with nothing really more to offer it’s hard to justify the price point in my opinion. Other products, even some made by Jetson itself, can offer similar specifications at more reasonable costs. 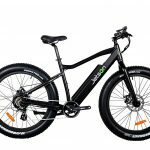 As a mountain bike its good, as an electric bike I think its sub-par. I love being able to pedal when I want to but then have the option of battery power to back me up when I need it. I use this bike for my commute and have been thrilled with its performance. The range is great, it’s easy to ride. 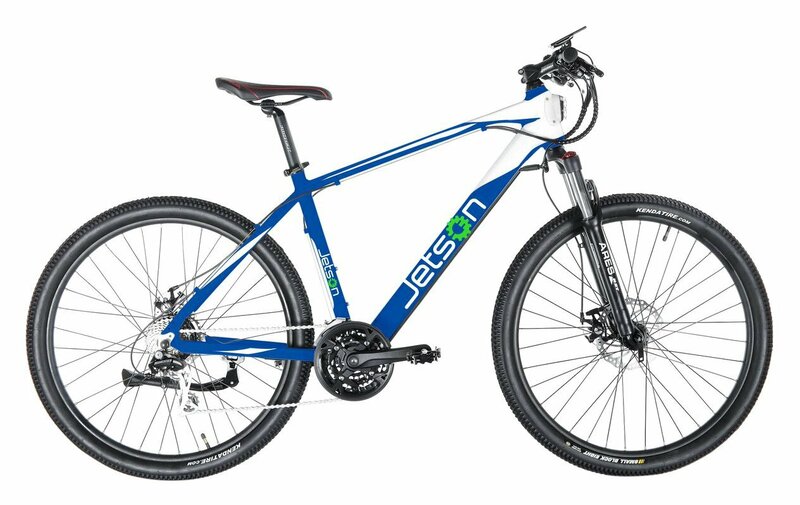 I would recommend this bike to anyone.